The Citation ISP Small Jet is manufactured by Cessna between 1977 and 1985. The cabin measures 11.3 feet long by 4.7 feet wide by 4.3 feet tall giving it a total cabin volume of 205 cubic feet making it comfortable for 5 passengers, with the maximum configuration seating 7. The baggage compartment can hold up to 8.1 bags assuming your average piece of luggage is less than 5 cubic feet. The Citation ISP has a maximum range (not including headwinds, high altitude, hot temperatures, or higher capacity) of 1215 miles and a maximum speed of 402 mph. Common names and abbreviations: CE-501SP, Citation I, Citation 1, CE501SP. How much does it cost to buy a Cessna Citation ISP 501? Prices range between $299,000 and $1,095,000 with 58 currently advertised for sale. The Cessna 500 series Citation I created the entry level light business jet market. Their success set the base for the world's largest family of corporate jets. Due to the early success of the Citation I, Cessna became the first of the big three American manufacturers which include Piper, Beech and Cessna. In October of 1968, Cessna announced the beginning of the new model of jet powered business aircraft that would be capable of operating into airfields already served by light and medium twin turboprops. Named the Fanjet 500, the prototype flew for the first time on September 15th, 1969, and later named the Citation. 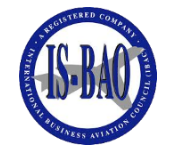 FAA certification was received on September 9th, 1971. A new and improved model of the Citation I was the 501 Citation I/SP, which is certified for single pilot operation. The I/SP started delivering in early 1977 and continued to 1985.